It seems that Emily Post offered her "silverware" etiquette to a silverplate company. If you bought their set of silver, you got detailed instruction from Mrs. Post in the form a booklet with a circle guide for setting the table. 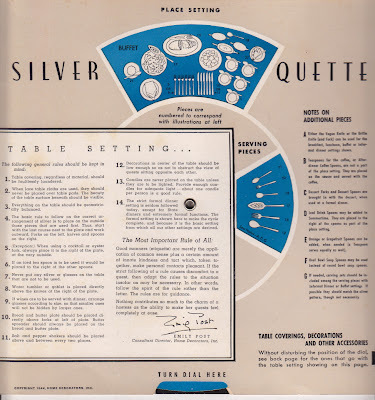 We just love table setting info. This is one of the great things about the blogosphere---that things like this are found and put in front of us for our enjoyment and edification...thanks! LOVE THIS!!! I'm going to enlarge and print out to keep in my pantry! Thank you! 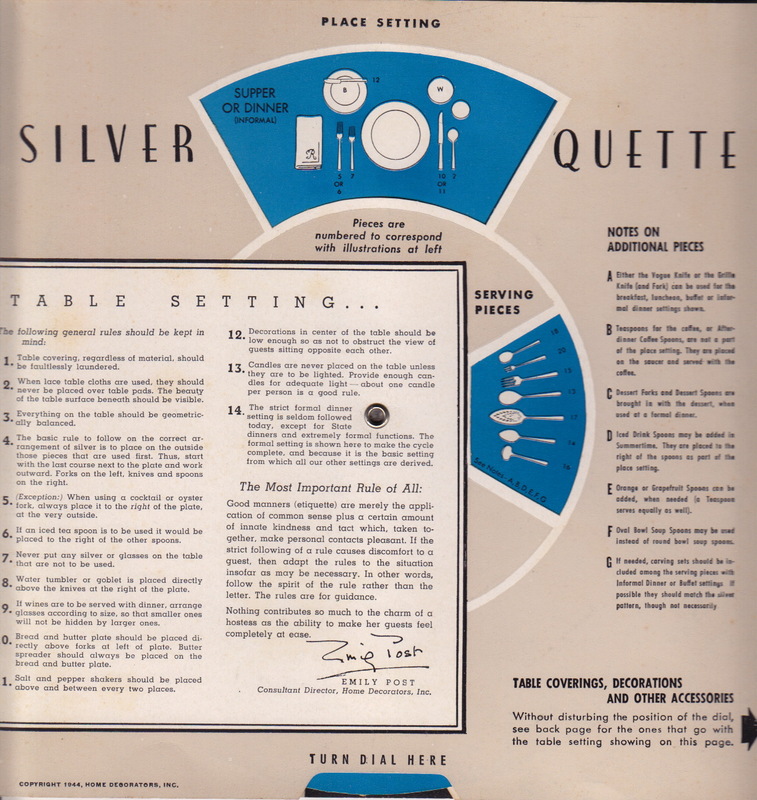 At the Sotheby's auction of the estate of the Duchess of Windsor, I bid on the template for table settings to be used by the footman (or butler?) and several other items I thought were unglamorous enough to be bought at a reasonable price. But sadly for me, everything went for a small fortune. Damn, Etiquette is so hard to learn, there's no doubt about it.